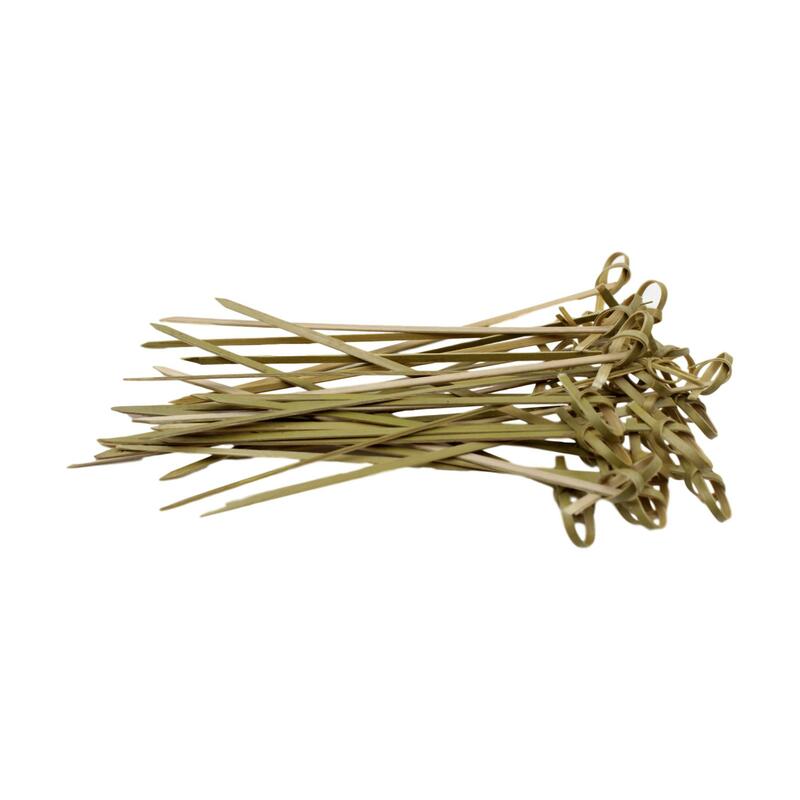 Pack of 120 sticks supplied. Each one has a length of 18cm. Made from bamboo these cocktail skewers have a lovely flair versus basic normal cocktail sticks with their twisted top making them easy to handle and use. Being bamboo they have a natural woody green colouring. Pointed at the end for easy use. Twisted top making them easy to handle and use. Being bamboo they have a natural woody green colouring. Pointed at the end for easy use.